Summerfest: American Idol "loser" Chris Daughtry hits the Marcus Amphitheater! 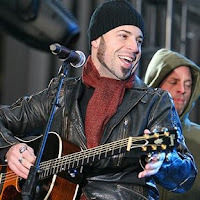 American Idol "loser" Chris Daughtry hits the Marcus Amphitheater! The last hole in the Summerfest 2007 Marcus Amphitheater lineup is filled with American Idol top-five contestant from last year, Chris Daughtry's band, Daughtry. Their self-titled debut album has been a hot seller. In fact, it is the fastest selling debut rock album in SoundScan history. The singles off the album, "Home", "It's Not Over" and "What I Want" have been well-received by music fans and radio. For this season of the show that made Daughtry famous, American Idol castoffs were wrapped up in a montage of video overlaid with the words "I'm going home, to the place where I belong." from Daughtry's "Home". Grouped with singers like Katharine McPhee and Taylor Hicks, Chris Daughtry stood out and some say, never wanted to win the American Idol competition as it might not have lead to the same level of success he has now found. On Friday, July 6 at Milwaukee's Summerfest, check out Daughtry for yourself on the Marcus Amphitheater stage. Daughtry tickets will be on sale through Ticketmaster in the coming weeks and again, with your Daughtry ticket purchase you won't need to have a separate Summerfest admission ticket.